A group of Russian Cossacks-collaborators from the Nazi Wehrmacht on the southern section of the Eastern Front. 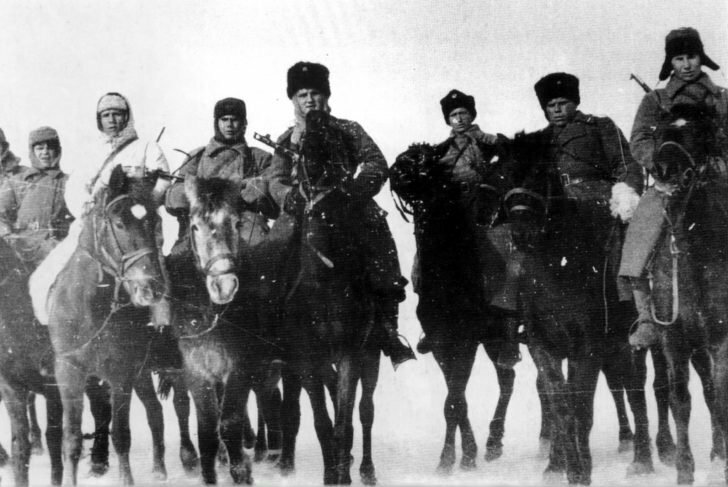 Cossacks are wearing Soviet overcoats, fur hats and caps with cockades. On the second left, the Cossack is a German winter camouflage suit. The armament of the Cossack traitors – PPSh-41 submachine guns and rifles.